Whether you are able to do a standard push up properly or not, the yoga push up is an excellent version to add to your fitness program. The push up, if done properly, is one of the best exercises for overall core strength and one of the best abdominal exercises that you can do (yup, abdominal). If done improperly, it can be rendered useless and even cause pain in the shoulders and low back. looking up as if to see who is watching! The yoga push up is one way to work yourself into standard push ups with proper form. building confidence in your ability to do push ups! When push ups are done properly you must engage the abdominal and glute muscles, thus strengthening your core. This is key to having stable muscles for your spine. The yoga push up encourages good push up form because it allows you to perform the movement in a controlled manner with a slight break as you stretch. This slowing down of the movement helps build strength and allows you to move towards faster standard push ups with more reps.
By stretching at the top of the movement you stretch the muscles of your shoulders as well as the upper- and mid-back muscles. This stretch helps move the shoulder blades in most of the directions that they should be able to move. Hands are placed under the shoulders with thumbs pointing towards your forehead to form a triangle if you are laying on the floor face down. Tighten the glute muscles and keep them tight throughout the movement. Pull the belly button in so as not to arch your back. Tuck the chin (as if making a double chin) to keep your head in line with your spine throughout the movement. Do a slight shrug at the top of the stretch. During the actual lowering phase of the push up, elbows should be at roughly a 45 degree angle from your sides. A regression is to perform the yoga push up to hold position. Keep in mind the same points above except that you are not lowering your body to the floor. The important result of this exercise is to build a strong core foundation before trying the actual push up phase. If you have any shoulder issues, you may want to avoid push ups altogether or just use the yoga to push up hold. 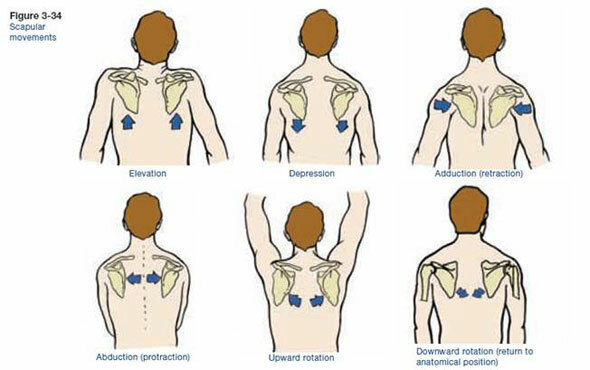 If you experience injury pain, do not do them until you know what’s going on with the shoulder pain. This entry was posted in Exercise, Health, Personal Training. Bookmark the permalink.